Amid rising inflationary pressures, RBI may maintain status quo in the monetary policy review on Tuesday and wait for cues from the Budget that would provide key macroeconomic direction. However, some experts also feel that there is a case for front-loading of interest rate cut to give a push to the economy. Budget 2016-17 will be announced by Finance Minister Arun Jaitley on February 29. "We can hope for a rate cut. There is a case for deliberations and they are related to data points and data points are going to very apparent after the Budget. Once the budget points on fiscal achievement those are hardwired, then there is compelling case for RBI to cut rate," Yes Bank managing director Rana Kapoor told PTI. "Considering the near-term risks on CPI inflation and the uncertainties around 2016-17 Budget, we expect the RBI to leave the rates unchanged until the Budget on February 29," Citigroup said in a research note. Both WPI and retail inflation have been on a rising trend. In December, WPI-based inflation stood at (-)0.73 per cent, while retail inflation moved up to 5.6 per cent. 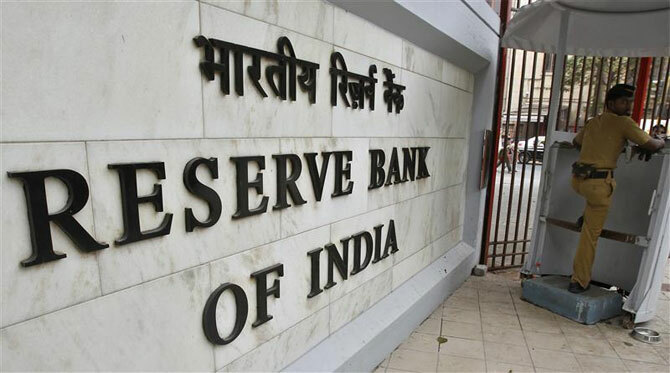 RBI is scheduled to announce its sixth bimonthly monetary policy review on Tuesday. The repo or the short-term lending rate at which banks borrow from RBI came down to 6.75%. In the last calender year, RBI reduced key policy rates by 1.25 percentage points. "The current instability in markets and insufficient transmission (by banks) are further reasons why the RBI may not rush to cut the rate on February 2," HSBC said. The RBI is most likely to achieve its January 2016 target of having inflation under the 6% mark, but is committed to getting the headline number down to 4 per cent in two years from now. However, global financial services major Barclays said the central bank is likely to go for a rate cut during the April-June period of the year. BofA Merrill Lynch Global Research also said it "continues to expect" the RBI to cut the key policy rate by 25 basis points in the February policy review. A surprise rate cut likely?